Over the past twenty years there has been a significant rise in educational attainment in Britain: while the proportion of young people with low-level qualifications halved between 1996 and 2016, the proportion of those with qualifications at degree level and above more than doubled. 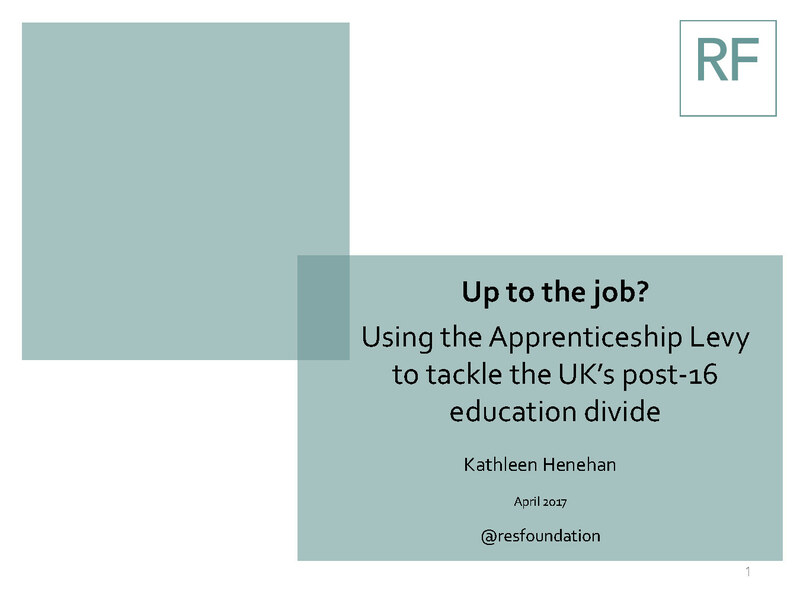 Homing in on different types of qualifications, we see that growth has been concentrated at the degree+ levels; on the other hand, the proportion of young people opting for a vocational qualification as their highest level of attainment has held flat since 1996. This is perhaps unsurprising: degrees are associated with higher pay and there is also a clear, navigable route from school to university. By contrast, there is no clear pathway for those who wish to pursue mid and higher-level technical qualifications. Through the Post-16 Skills Plan and the Apprenticeship Levy, the Government have made welcome commitments to streamlining technical routes and priming the supply of more technical provision. However, if these policies are going to succeed in boosting young peoples’ technical skills levels, they need to focus on three specific elements: producing clear pathways for non-academic students to follow, and ensuring that these pathways are of a high quality, signalling value to employers.